Dubec Advances to State Tennis Tournament! 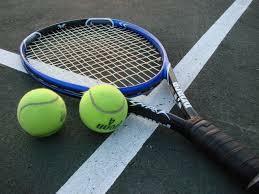 Thrall Varsity and Junior Varsity Tiger Tennis took the District Championships and Varsity Tigerette Tennis placed 2nd at the District Tennis Meet on Thursday-Friday, April 4-5 in Thrall. Several Thrall tennis players will advance to Regional Tennis on April 17-18 in Corpus Christi!